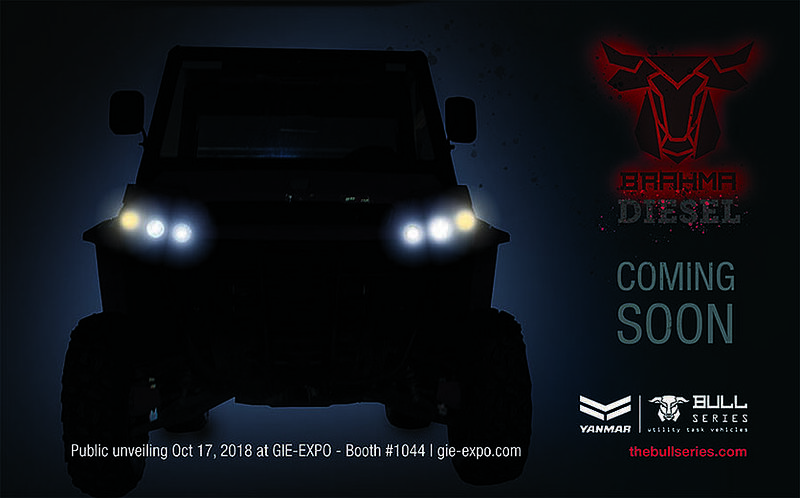 Adairsville, GA (September 28, 2018) – YANMAR America is proud to announce the 2019 YANMAR BULL Series Utility Task Vehicle lineup is expanding to include the all new YANMAR diesel Brahma model, plus a new eye-catching gas-powered special edition Longhorn (6 Passenger) UTV in the popular Black Angus trim and color scheme. 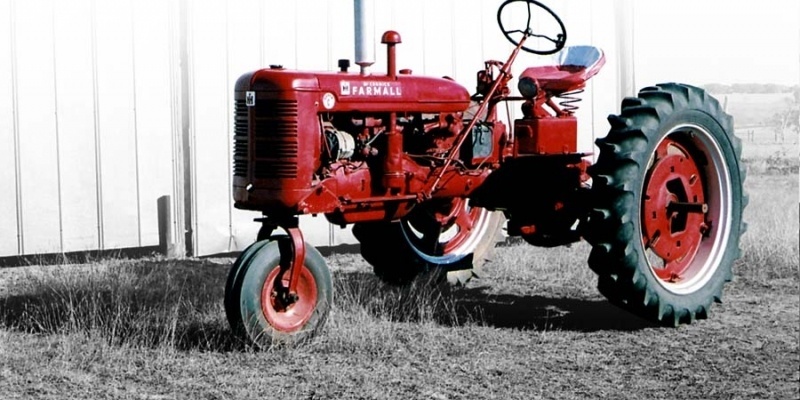 The Brahma is powered by a famously reliable YANMAR three-cylinder diesel engine and offers a new design and look for the BULL Series UTV family. The Brahma will be available in three different trim levels, beginning with the base canopy model with a hard-top roof. Next is the semi-cab model, which offers partial enclosure with a front windshield that includes a wiper system, a rear window and extra storage space. Rounding out the Brahma line is the premium full cabin model which offers weather sealed door channels, class leading storage, powered dump bed tilt and an automotive like HVAC system that will keep occupants in ultimate comfort regardless of season. The Brahma models will be offered in YANMAR premium metallic red, traditional YANMAR red and a new deep tactical green. Brahma edition models will be feature rich with two individual bucket seats that can be complimented with a center console and additional storage options. Other features that separate YANMAR from the competition are under seat and side access storage boxes that offer industry leading storage capacities. With the Brahma’s best in class ground clearance, handling and ride quality, it feels more like a performance work vehicle designed to inspire operator confidence at any speed, over various terrains. Trail riding and other recreational activities are suited to the Brahma due to the adjustable shock absorbers and long travel independent suspension. The Brahma comes standard with a large, durable cargo bed, and greater payload and towing capacities to get the job done. Prototype models will be unveiled on October 16th, 2018 at the Sunbelt Expo in Moultrie, GA and on October 17th, 2018 at GIE Expo in Louisville KY. The new Brahma diesel is scheduled to arrive at YANMAR Dealers in early 2019. 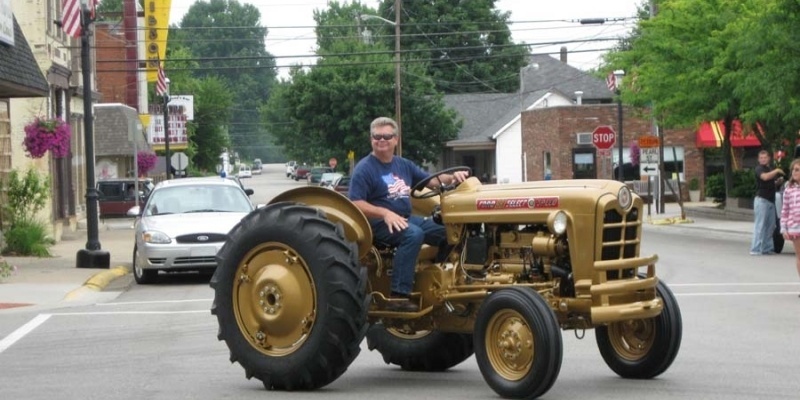 The 2018 special edition was the standard BULL (3 Seat) model available in the appealing Black Angus trim package. In 2019 the special edition model will be our popular Longhorn (6 seat) model configured with the Black Angus trim features. The special edition design includes matte metallic grey paint, with a matte black hood and black aluminum wheels. The hood features a large, carbon fiber Longhorn logo graphic that blends with the Black Angus edition and additional carbon fiber touches on the sides and cargo bed complete the look of the machine. The addition of a rear grab bar enhances the ruggedness and durability of this special edition model. Like last year, the Black Angus edition has limited build quantities and will only be available while supplies last. Model year 2019 gas powered UTVs will begin shipping to dealers in December 2018. As with the last two years, all BULL Series UTVs will be available through YANMAR’s extensive U.S. construction and agriculture dealer network. New dealer opportunities are available for select candidates. YANMAR entered the off-road vehicle market in December of 2016 with the BULL Series line of UTVs that included the gas-powered standard BULL and Longhorn edition in a sleek sliver and premium red color design. For more information, please visit thebullseries.com.